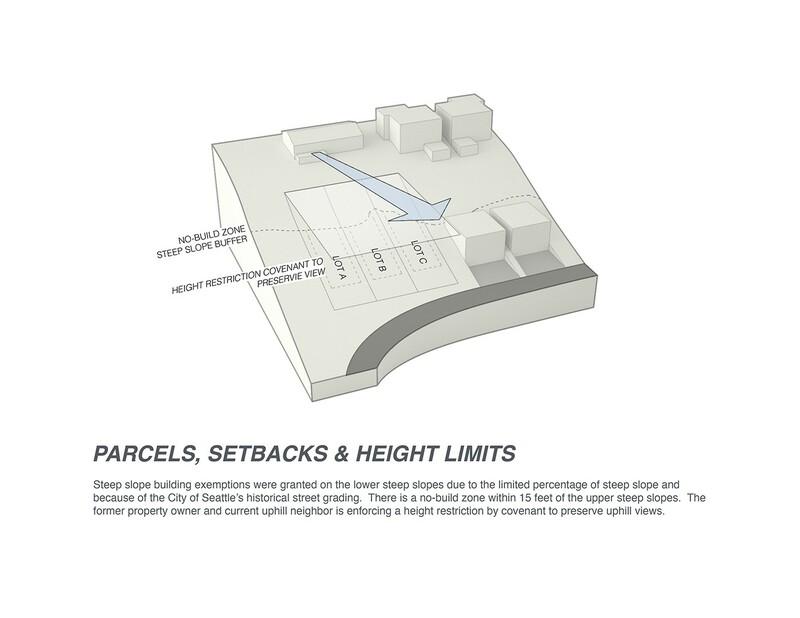 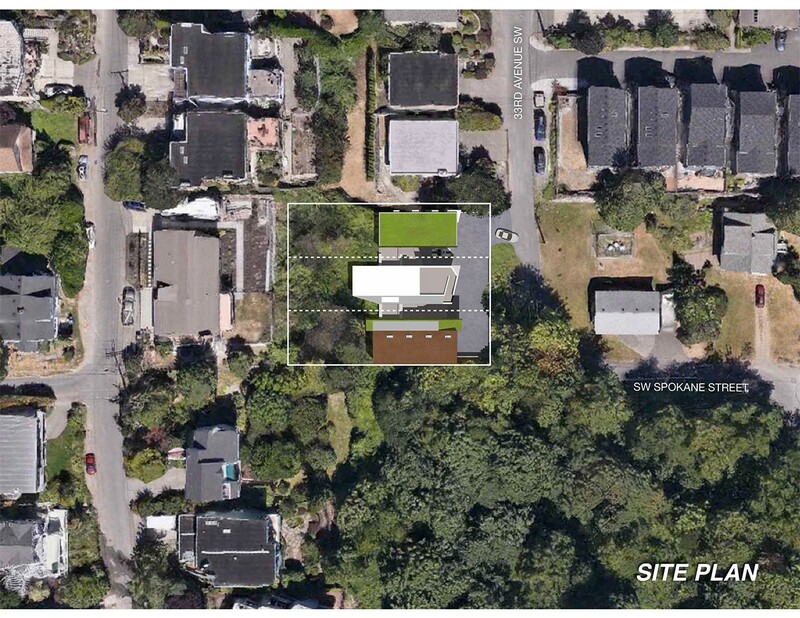 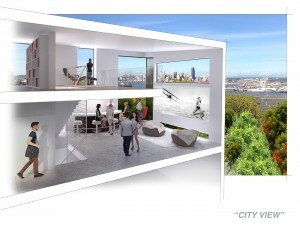 When only what are considered to be unbuildable properties remain in Seattle, how can creative analysis and design serve to realize the full potential of a city view site on a critically sensitive slope? 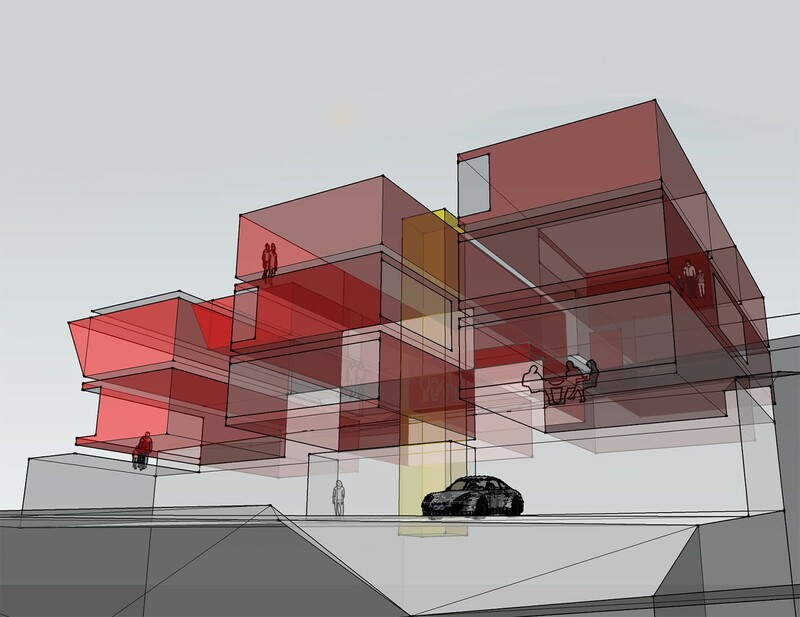 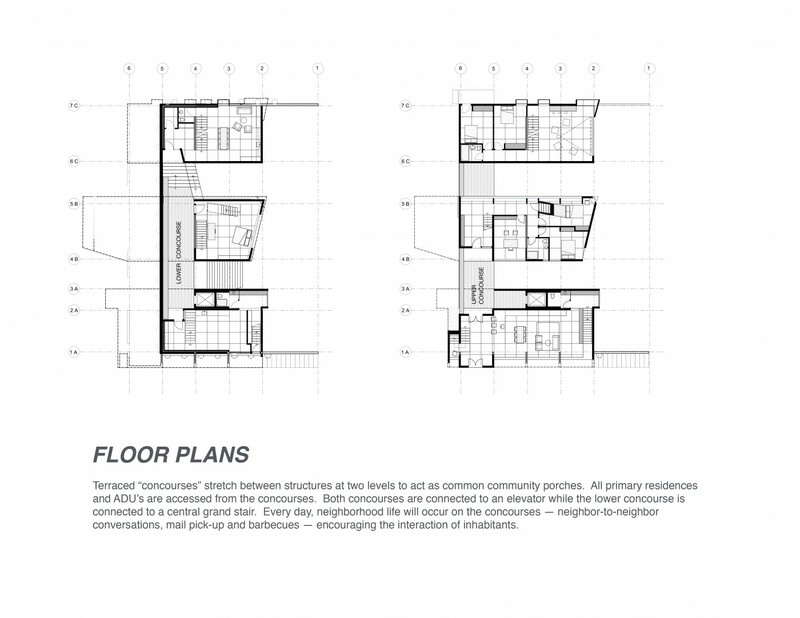 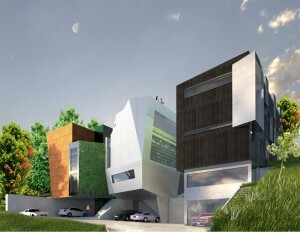 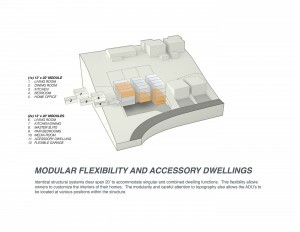 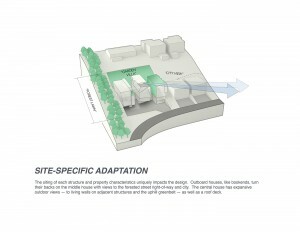 Committing to one large, bold site stabilizing structure for three distinct residential buildings offered a multi-layered solution that yields both a connected network of dwellings and a unique urban experience with a rural-feeling. 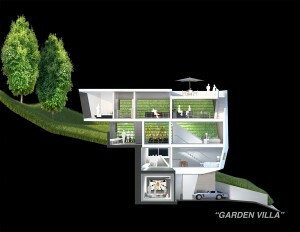 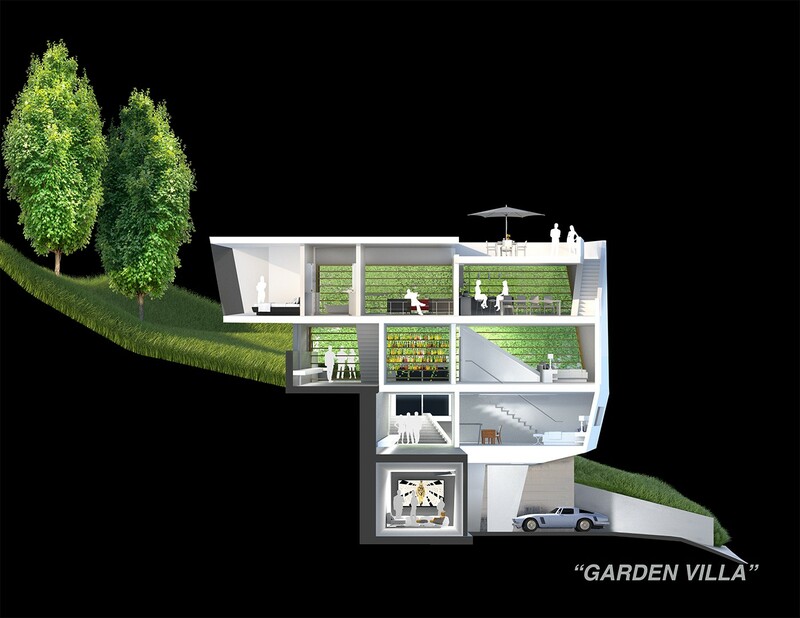 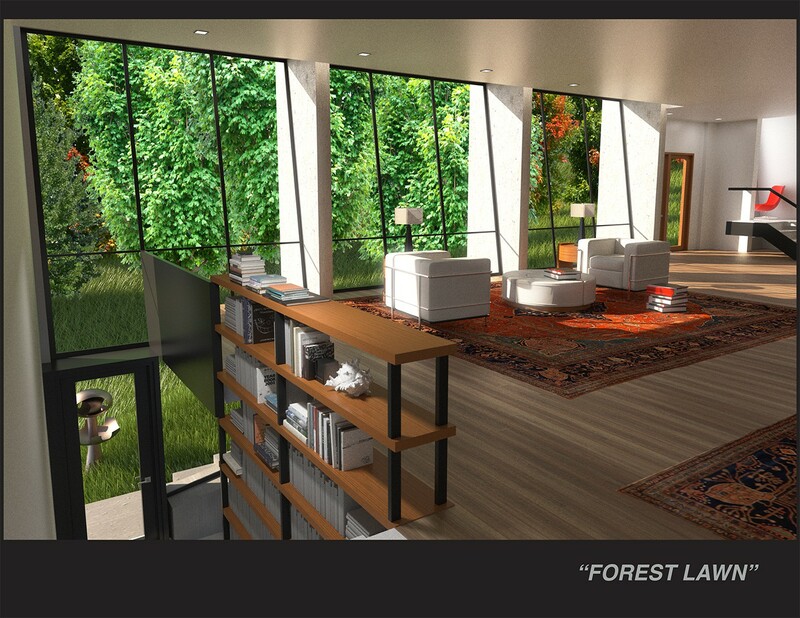 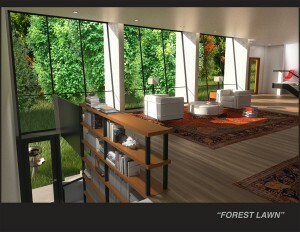 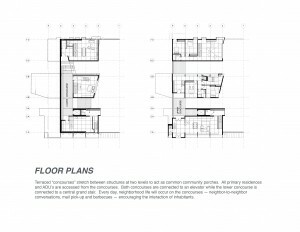 A highly unique individual residential experience that offers privacy, variety and quality with the efficiency of a shared public access and parking area.